An affordable, multifunctional printing device rests content in Braille or tactile format at the fingertips of the visually impaired. There are close to 30 million blind and partially sighted people in Europe and over 250 million all over the world. Although the visually impaired have an equal right to access available visual content, technological and economic limitations prevent them from doing so. 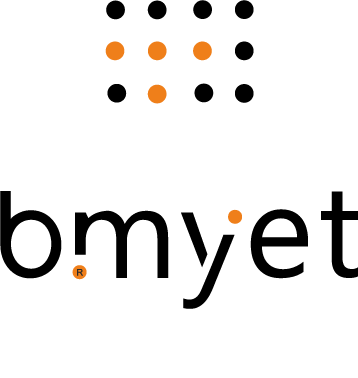 Content in Braille or tactile format is also not readily available and prices of assistive technologies are often prohibitive. The partly EU-funded BrailleJet project has set out to provide blind and partially sighted individuals with affordable access to visual content. Less than 2 years after BrailleJet’s launch, its team of engineers has developed a revolutionary yet inexpensive multifunctional device: an all-in-one printer, scanner and photocopier that visually impaired people can use in the privacy of their own home. 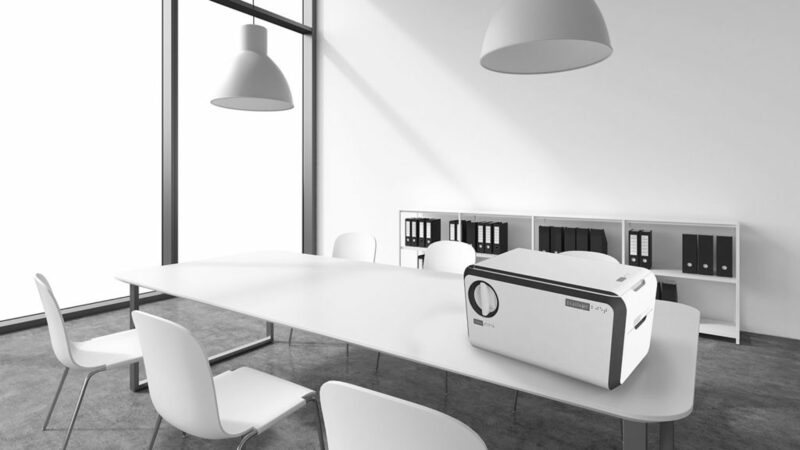 Called b.my.jet, the desktop-sized printing device uses a novel powder depositing method patented by one of the partners. The method allows a controlled amount of the device’s special ink to be accurately placed and fixed on the surface of a normal sheet of paper to produce a tactile print. 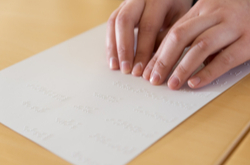 Users will be able to quickly and easily print documents written in Braille and Moon tactile codes. The device’s innovative technology gives it another major advantage over other printers of its kind. While current assistive technologies are highly priced and therefore only available at blind associations and specialist schools or shops, b.my.jet will be sold in large electronics stores at a fraction of the cost. The estimated price is EUR 250 per printer, much less compared to current tactile printing devices whose prices start in the neighbourhood of EUR 2 000 and can reach even EUR 80 000 for large-volume printers. The device is used in much the same way as a standard inkjet printer, requiring normal paper and cartridge replacement. The working prototype of b.my.jet released a few months ago has already won a Silver A’ Design Award in the Differently Abled and Seniors’ Assistance Design Category. It was also a Gold Winner in the Office Equipment Category of the International Design Awards. 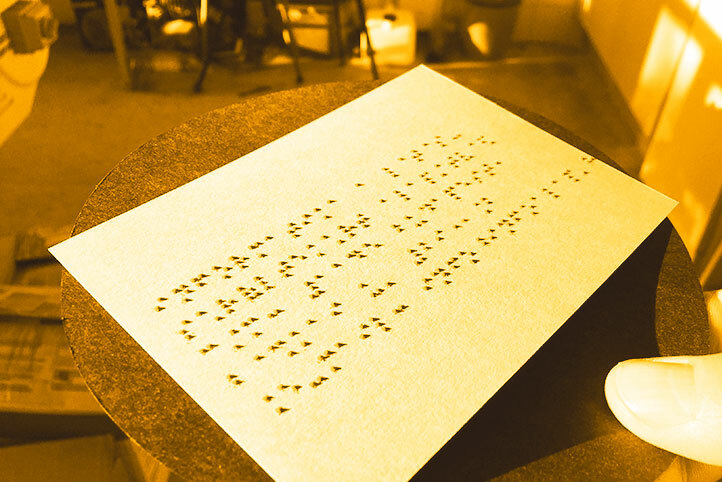 The BrailleJet (Digitally controlled Braille and tactile graphic jet printing) project is now taking steps to commercialise its innovative product.